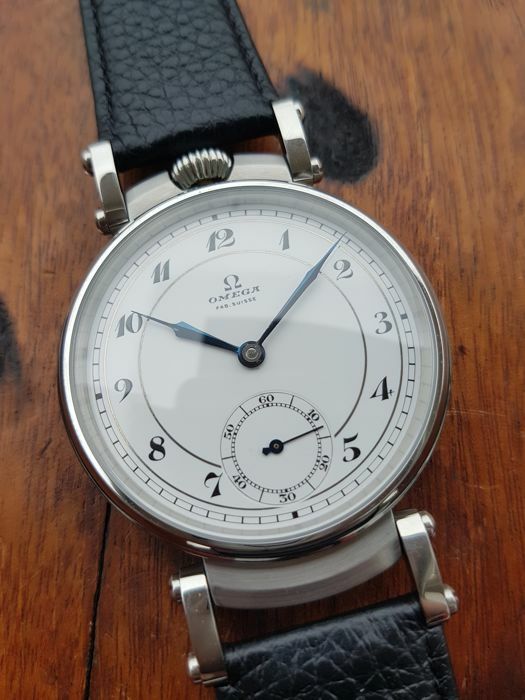 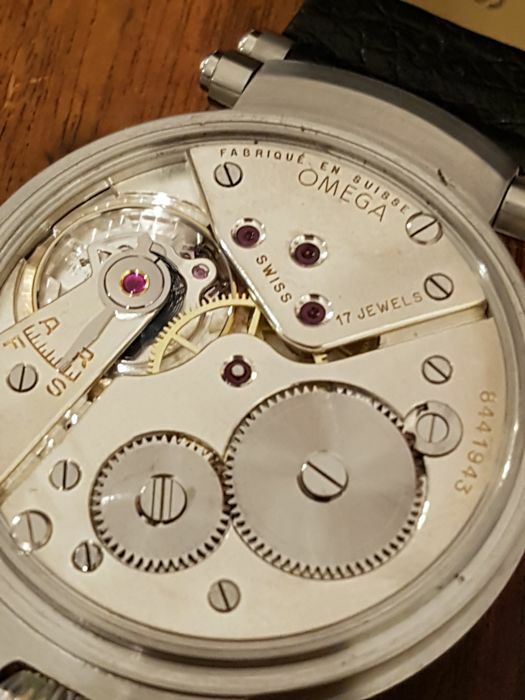 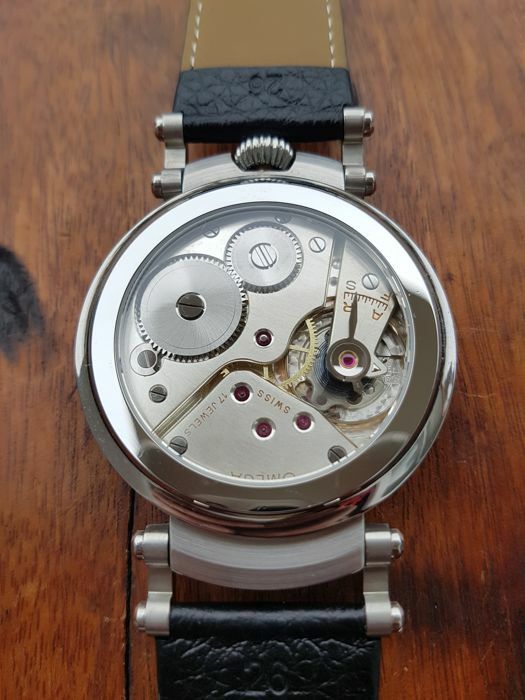 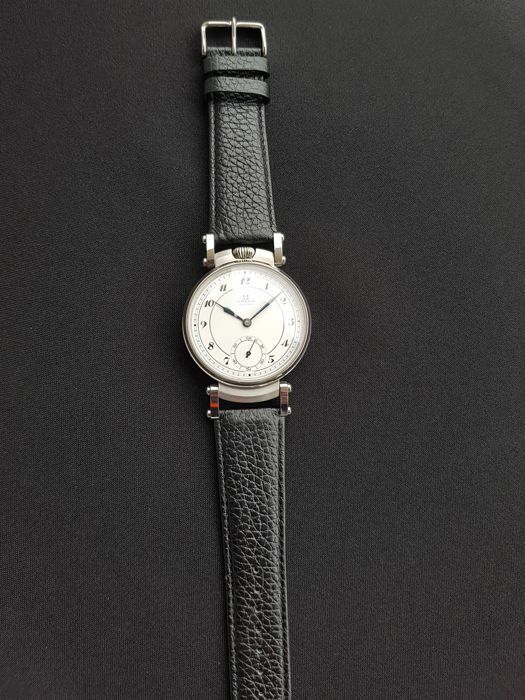 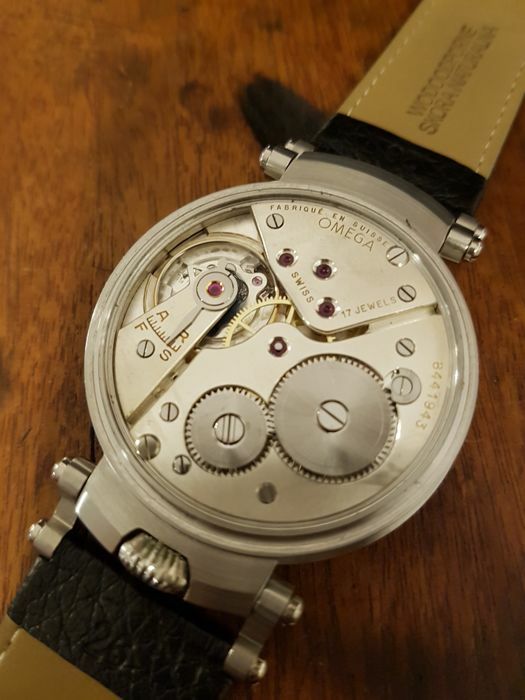 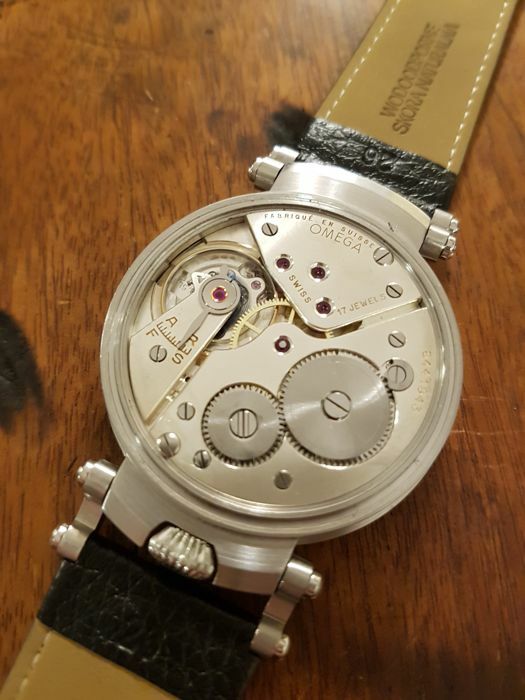 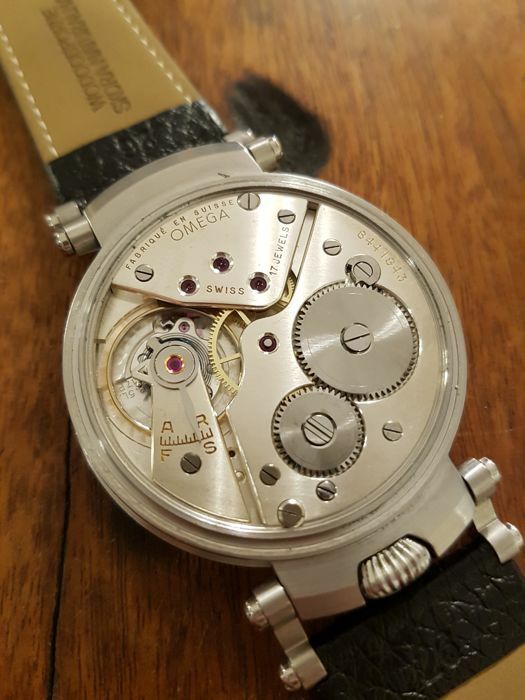 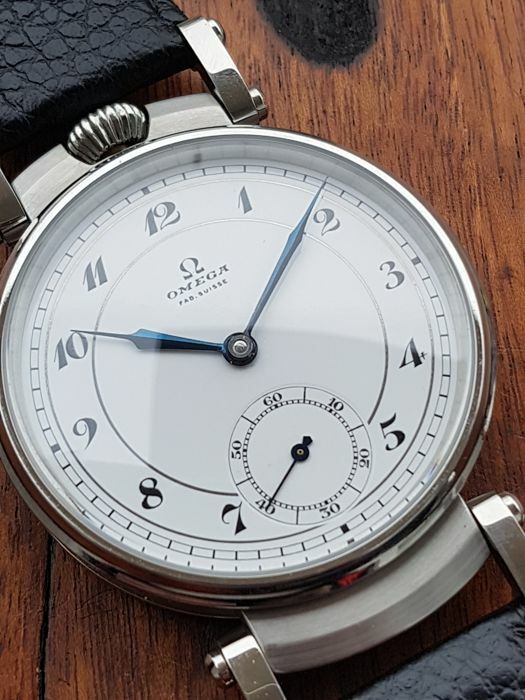 Here is for auction beautiful Omega marriage watch in big and massive stainless steel case, with classic,stepped white porcelain sector dial with full arabic numerals and rare white movement. 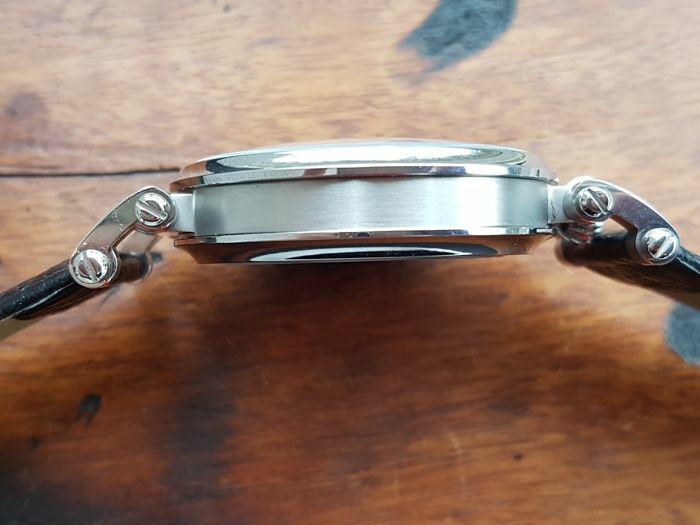 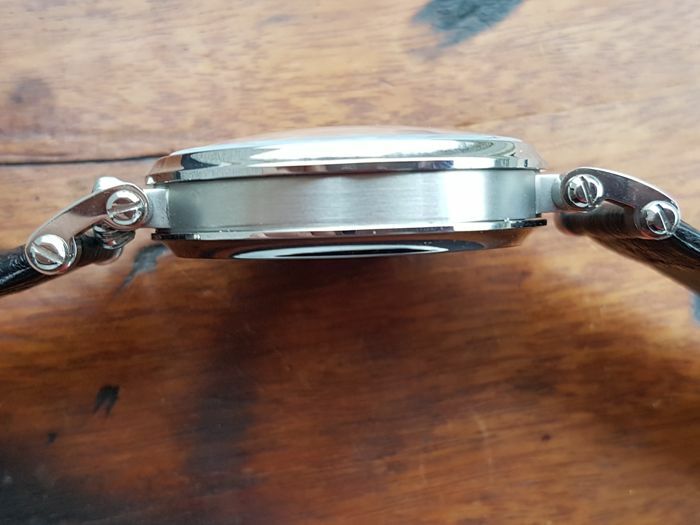 Case with adjustable lugs and glass transparent case back is special-custom made for this watch, condition is brand new and watch was never been worn. 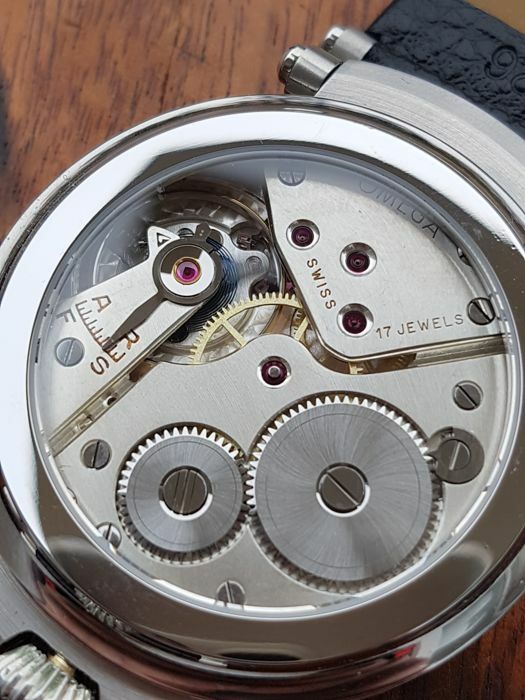 With diameter of more than 46mm the watch looks very good on a wrist. 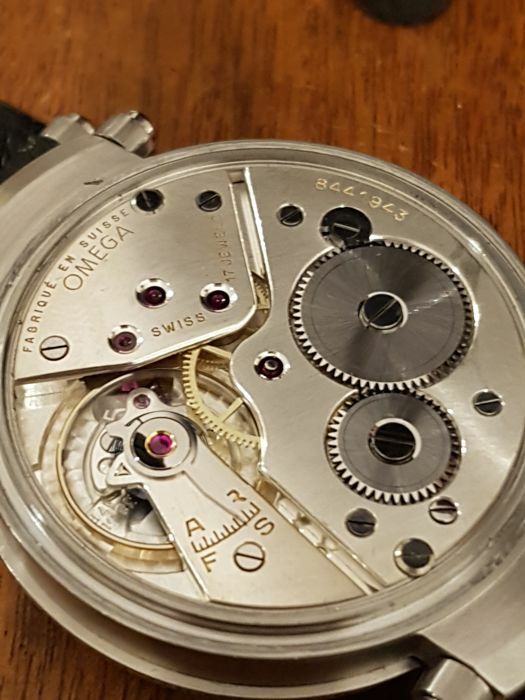 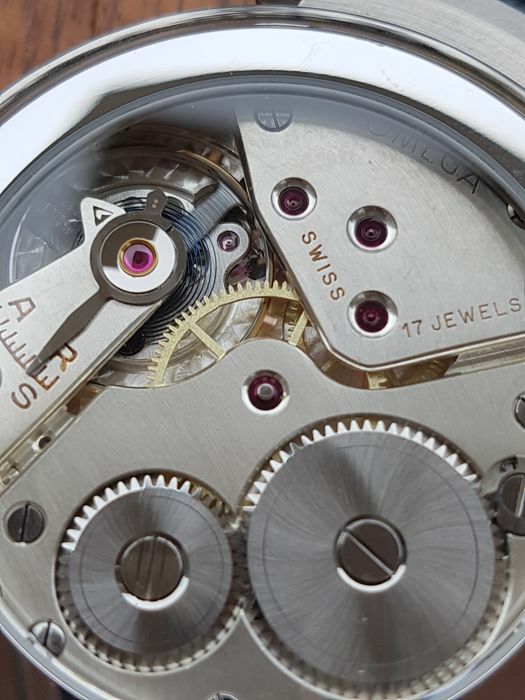 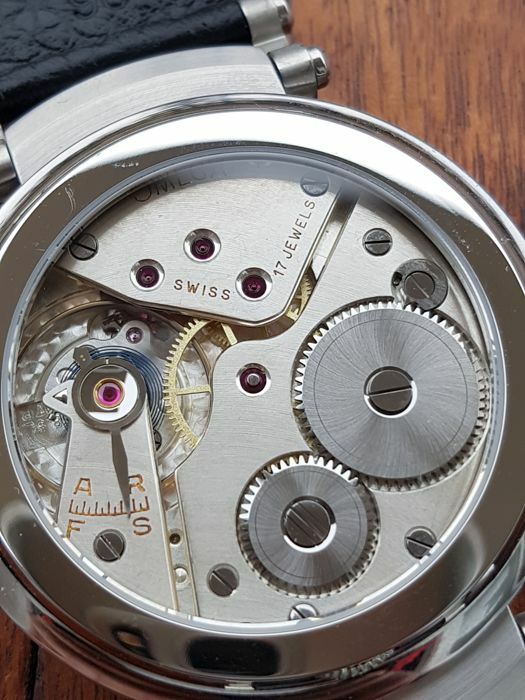 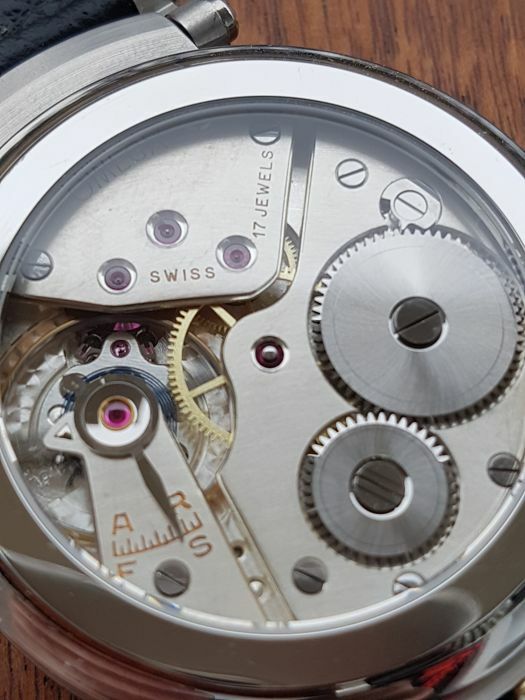 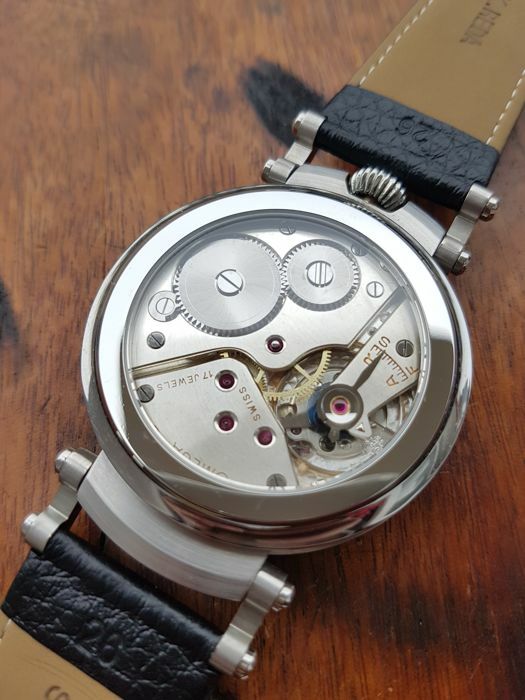 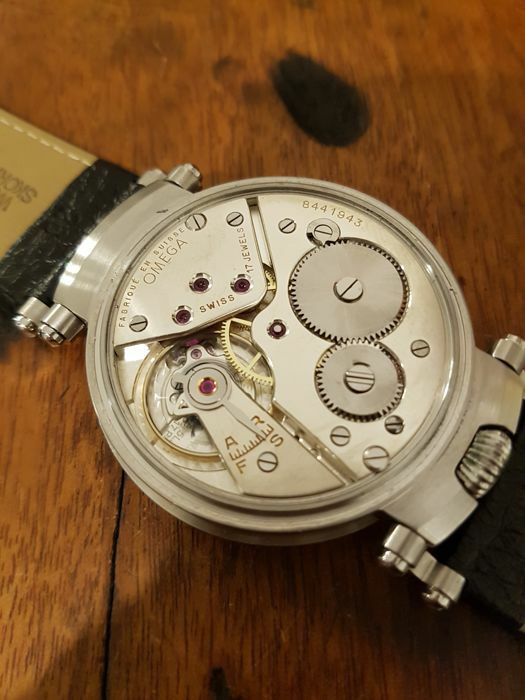 Beautiful white movement with breguet hairspring and 17 jewels is running fine and was checked by a watchmaker when recased. 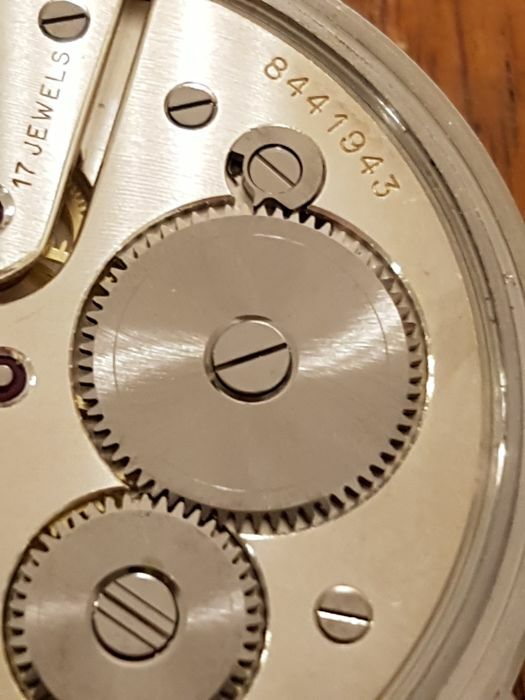 Serial number 844.. dates the watch to circa 1936. 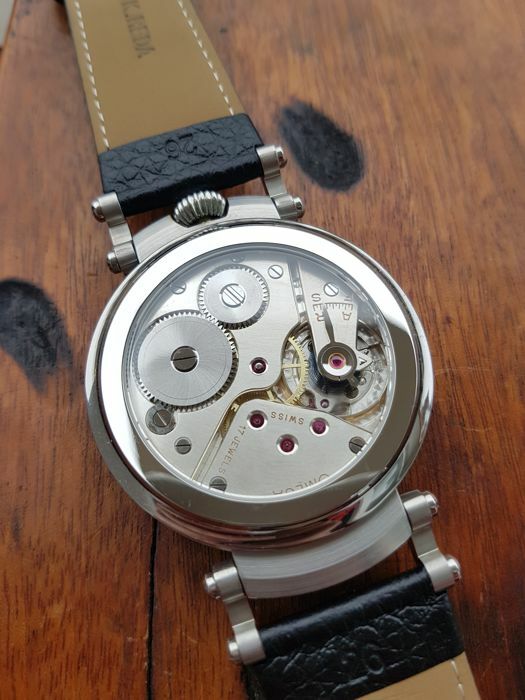 Watch keeps accurate time very good for a vintage timepiece. 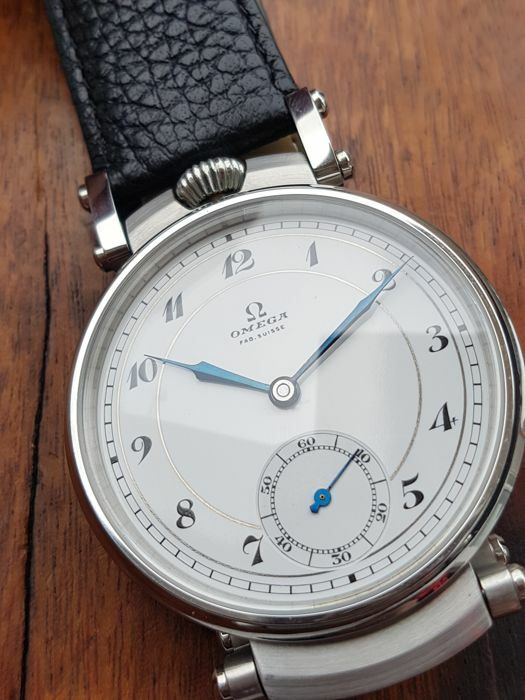 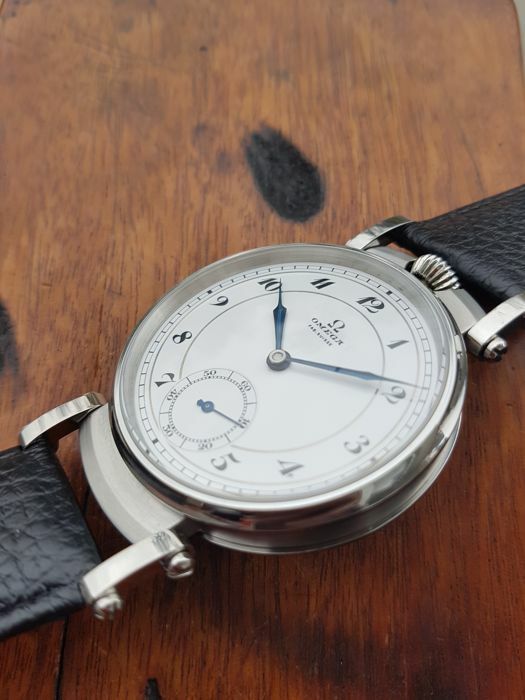 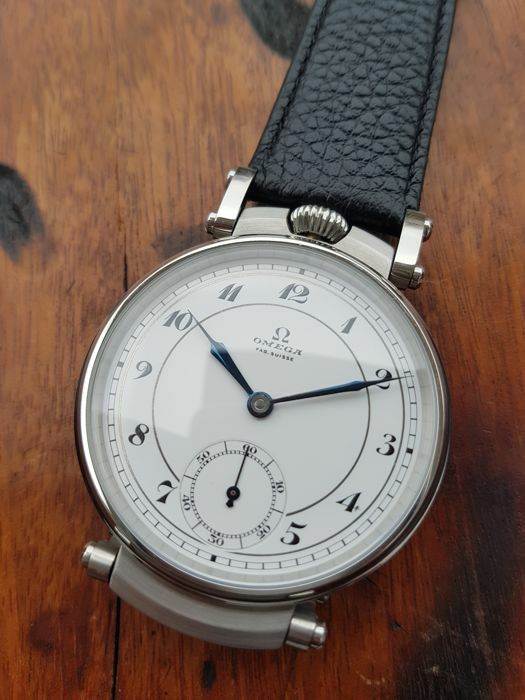 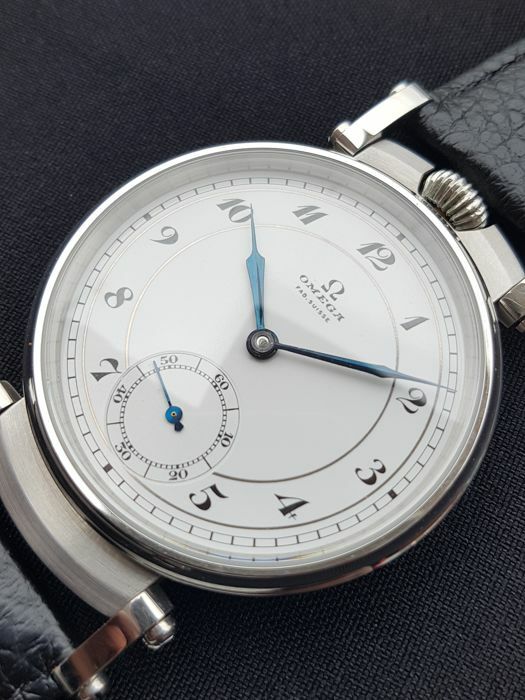 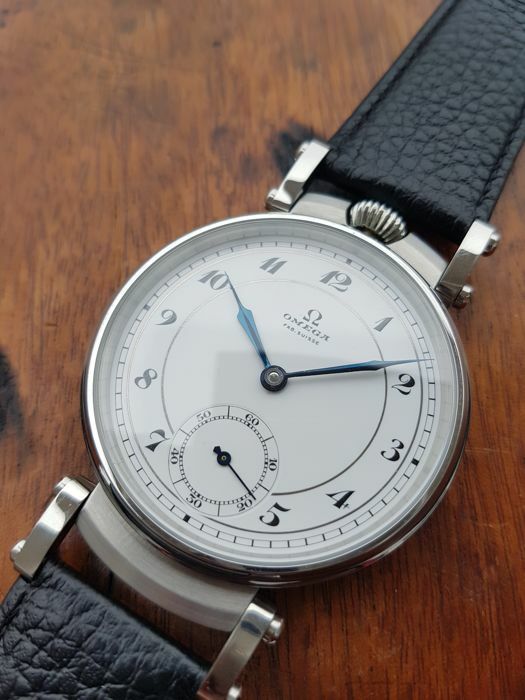 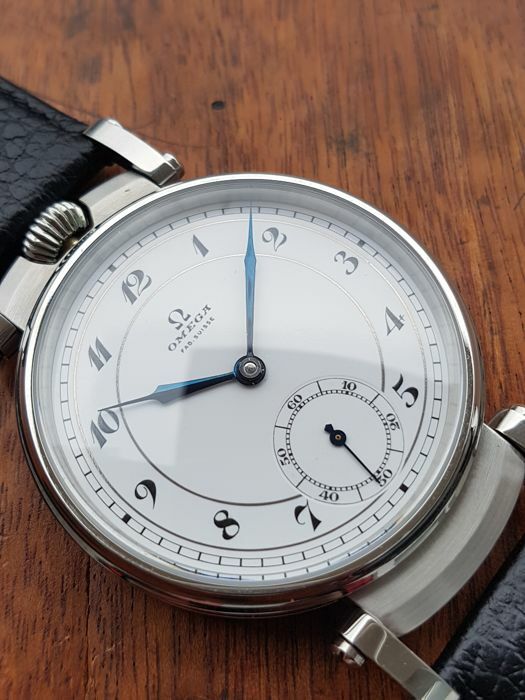 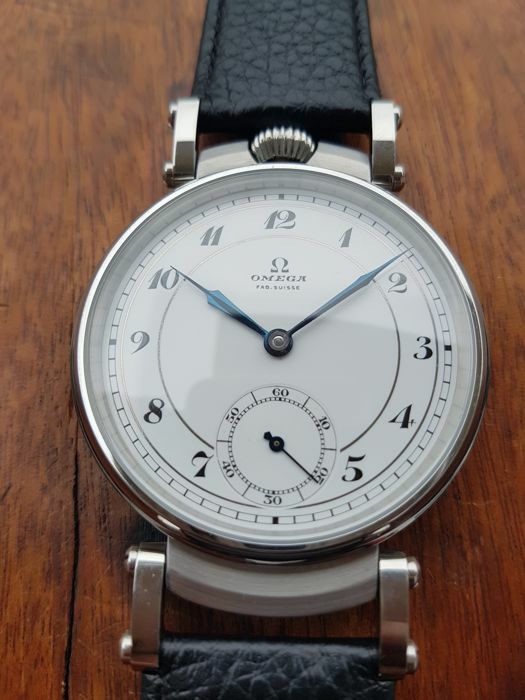 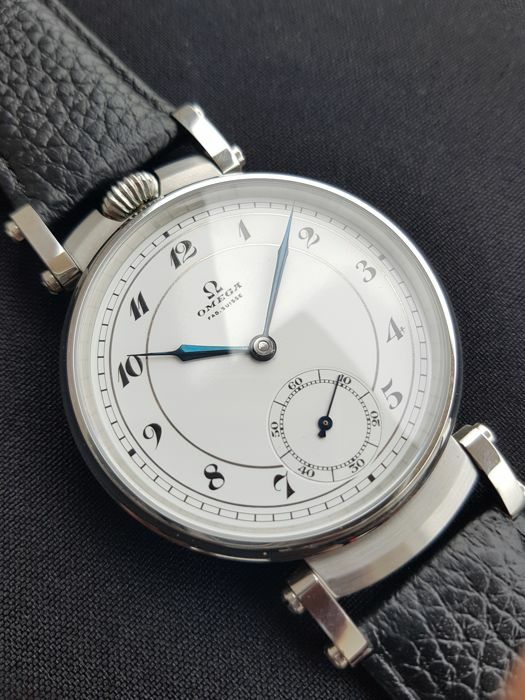 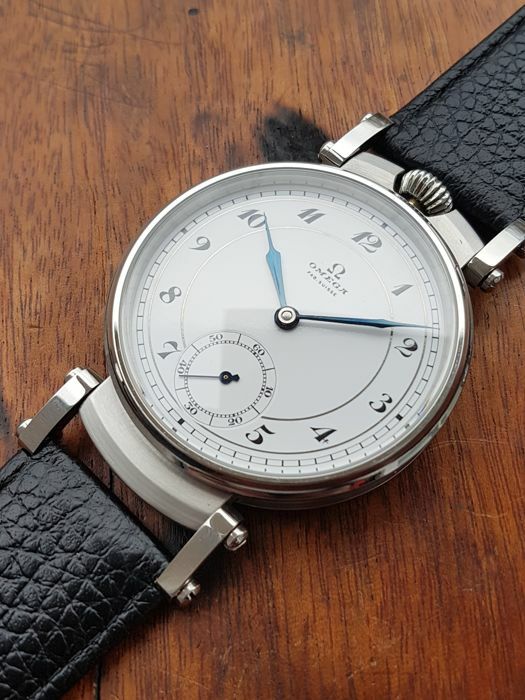 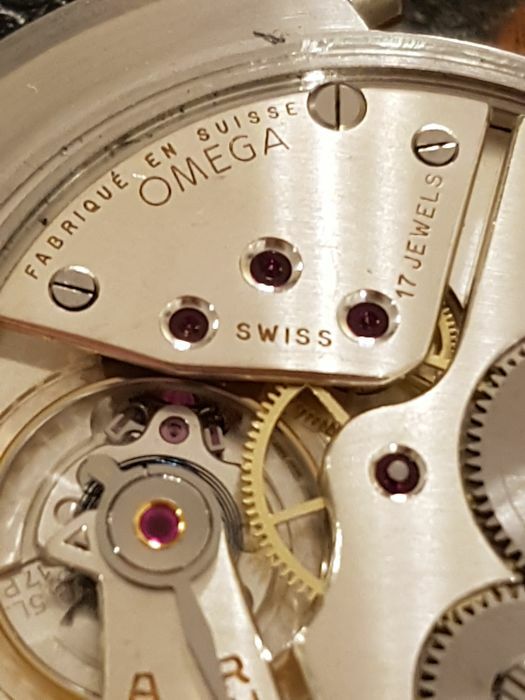 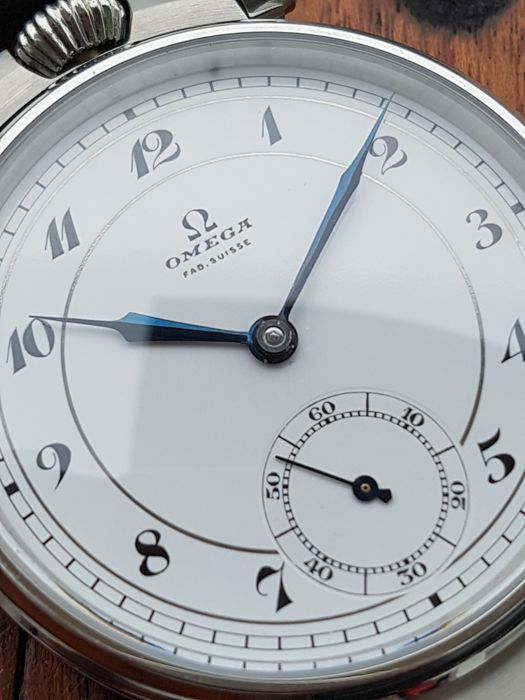 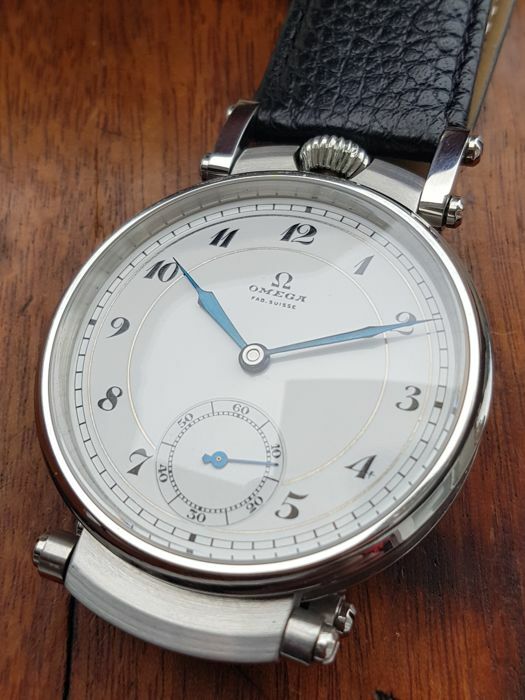 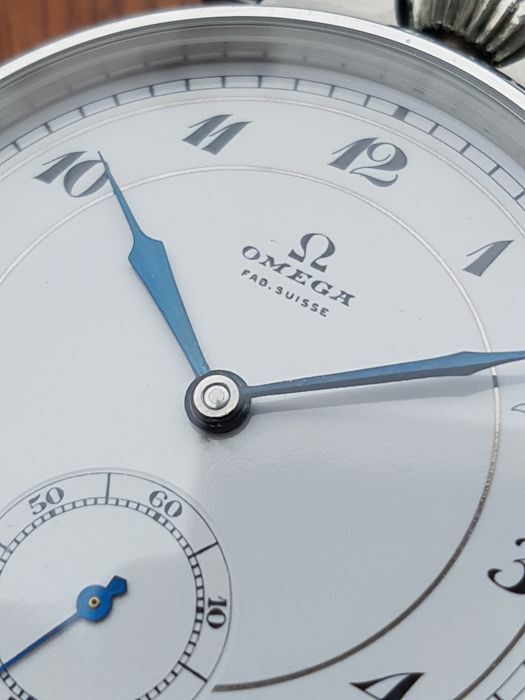 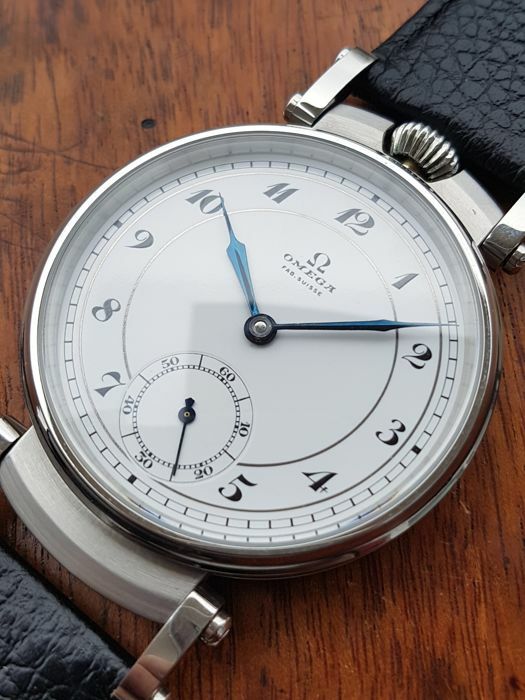 White, stepped porcelain dial with double full arabic numerals, 2 stunning golden rings and sector minutes track is in original mint condition-signed Omega Fab Suisse, genuine blue hands are in mint condition, crown is brand new and was fitted to the case.